H. Richard Milner IV (also known as Rich) is Helen Faison Endowed Chair of Urban Education, Professor of Education, Professor of Social Work (by courtesy), Professor of Sociology (by courtesy) and Professor of Africana Studies (by courtesy) as well as Director of the Center for Urban Education at the University of Pittsburgh. In addition, he is a fellow of the American Educational Research Association. 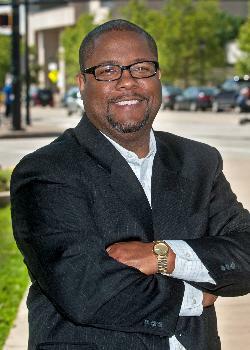 His research, teaching and policy interests concern urban education, teacher education, African American literature, and the social context of education. In particular, Professor Milner’s research examines practices and policies that support teacher success in urban schools. Professor Milner’s work has appeared in numerous journals, and he has published five books. His book, published in 2010 by Harvard Education Press, is: Start where you are but don’t stay there, which represents years of research and development effort. He is also author of Rac(e)ing to Class (Harvard Education Press, 2015). Currently, he is Editor-in-chief of Urban Education and co-editor of the Handbook of Urban Education http://www.routledge.com/books/details/9780415634779/, published with Routledge Press in 2014. He can be reached at Rmilner@pitt.edu. Rac(e)ing to class: Confronting poverty and race in schools and classrooms. Cambridge, MA: Harvard Education Press. Milner, H.R. & Lomotey, K. (Ed.) (2014). Handbook of urban education. New York: Routledge Press. Milner, H.R. (2014). Not all students have access to homework help. The New York Times. Milner, H.R. (2014). Racial disparity starts early: A Black father's search for a diverse preschool. Education Week.